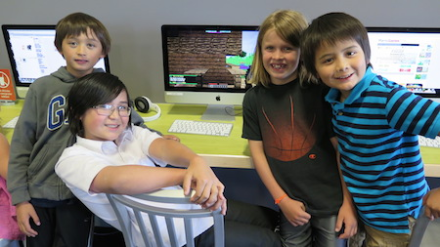 Really love Game-Based Learning: MinecraftTM? Expand your skills by participating in our Mastery Progression program where you advance through the listed courses to earn a Certificate of Mastery! *MinecraftTM Exploration is a prerequisite for this course. *GBL: Minecraft Exploration is a prerequisite for this course. *GBL: Biosphere & Geography Explorers and All About Building are prerequisites for this course. *Minecraft™ Exploration and Minecraft™ Physics are prerequisites for this program. Kerbal Space Program is a single player game where players get to explore a whole new universe by creating and managing their own space program. In Zaniac’s Kerbal Space Program course, students explore aerospace engineering and orbital mechanics by designing, testing, and launching airplanes and rockets to complete a series of missions. Through this course they develop critical thinking and problem solving skills, learn through experimentation, and unleash their creativity with an iterative design approach. For grades 4-8. Tuition: $249.